Wow ! This is deep and profoundly important for all those of us who strive to develop our own style in photography. Excellent post by Scott Bourne titled: “The photographer’s fascination with being ‘NEW’ (Developing your own style)” in which he discusses why we shouldn’t be obsessed with constantly seeking something ‘new’ to photograph or chasing the ‘newest technique’. He argues that there is nothing wrong in taking images of well known locations or subjects and that it is important part of the process of discovering your own voice. As long as you are willing to put in enough time and effort into it. In that it connects to the book by Malcolm Gladwell titled “Outliers” (10,000 hours rule) and to the essay by Alain Briot “Achieving your personal style”. Excellent read. Highly recommended. 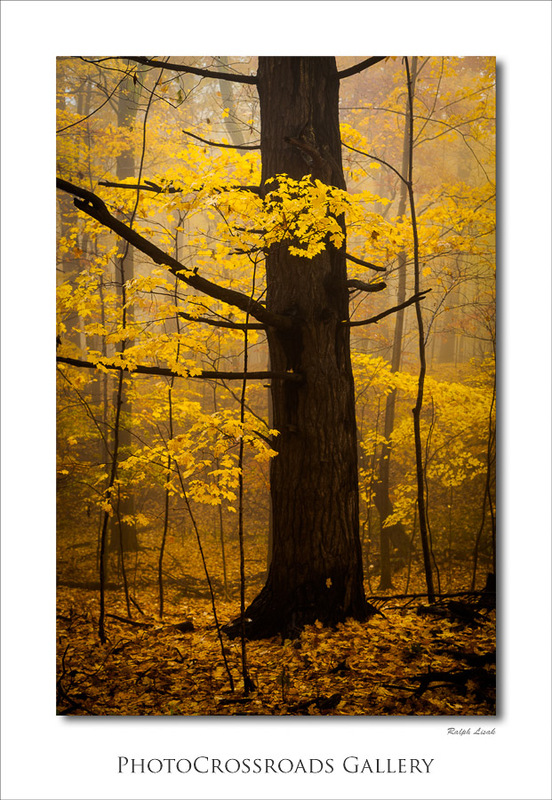 The image in this post was taken in Dundas Valley on a foggy, autumn morning last October. It was one of those mornings when after a few cold days came a sudden rise in temperatures caused by moist and warm air from the South. This created delightful foggy conditions for a few hours around the sunrise.